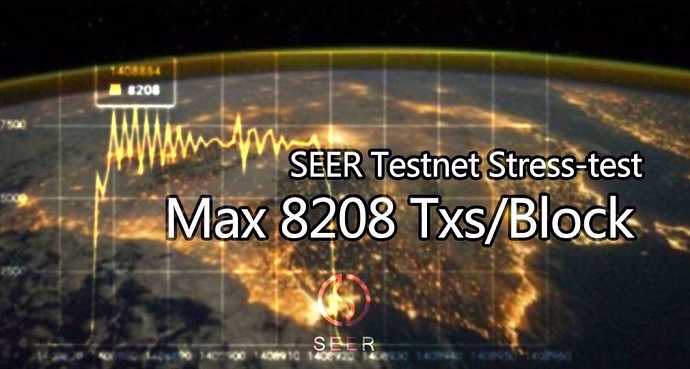 At 3:34:48 pm on July 16, 2018, Singapore time, SEER’s software test engineers conducted a stress test on the SEER testnet to verify the high concurrent processing capacity of the SEER blockchain. Engineers continuously broadcasted 300,000 transactions in the testnet. All transactions were in 52 blocks from #1408876 to #1408921. All the transactions were successfully confirmed in 135 seconds, and none of them were missing. 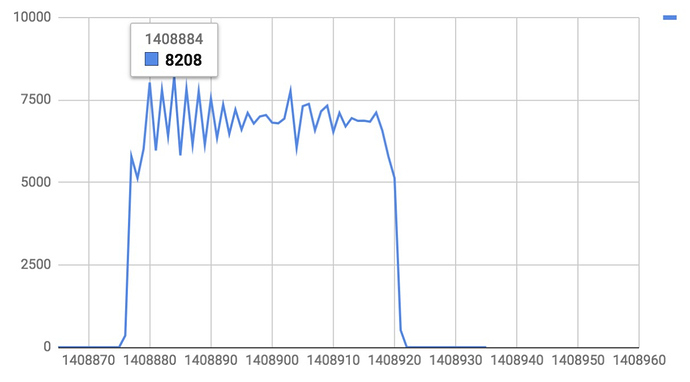 The highest concurrency peak appeared at the #1480884 block, with a total of 8,208 transactions. Can you tell us how much machines you had to fire up to produce that much of transaction? Or did you pre-produce them? In order to simulate a large number of users using SEER blockchain at the same time, we used 3 machines to send transactions to the test net at the same time. Of course, in order to avoid production transactions and affect efficiency, transactions are pre produced.